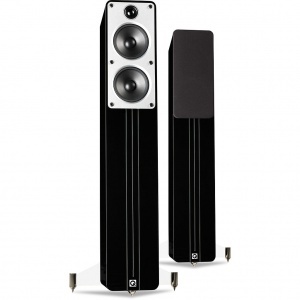 Q Acoustics was founded by professional engineers and businessmen with the sole aim of developing a highly successful loudspeaker brand based on outstanding audio performance and best in class. It's that simple - a completely focussed understanding of acoustic engineering and inspirational design has driven their remarkable success. It was recognised that the only way Q Acoustics could possibly enjoy commercial accomplishment was to design and produce loudspeaker products that were, without question, superior to their similarly priced competitors. So that is what they did, and for ten years audiophiles around the world have enjoyed Q Acoustics for its innovative and high performance loudspeakers.